Christopher lectures nationally in Universities and Yoga centers on the history, philosophy, and practices of Indian Yoga and Tantric Shaivism. He has 3 degrees in Religion and Sanskrit, including Master’s Degrees from Harvard and UC Berkeley. His passionate and methodical research sheds a new light on the origins of Vinyasa, which has been mired in controversy. Presented here is the first in a series of revelations for the benefit of the engaged practitioner. Sutra Journal: How did you initially get drawn to Sanskrit studies? What sparked your interest in the subject and more specifically Kashmir Shaivism? Christopher Tompkins: I was introduced to yoga through the teachings of Paramahamsa Yogananda, having been initiated into the practice he generically called Kriyā Yoga, following in the steps of my father. I watched the practice transform his life and turn him into the great teacher that he became. I was privileged to experience how directly the practice helped him to overcome cancer before his death in 2003. My father Ron and I both had powerful experiences through what is essentially a subtle body science of breath manipulation, visualization, and Mudrās, choreographed to the utterance of seed Mantras (bijas) in order to power their liberating effect on blockages extant in the central channel of the subtle body. This practice had very tangible results for us. Now, much like Krishnamacharya, Yogananda consistently claimed he was drawing from a text based tradition, specifically a ‘Shastra’ based tradition. Yogananda gave a very detailed synopsis of the complexities of this practice and its probable effects if engaged diligently. To some degree my Father in particular could attest that he’s experienced the truth of these claims. But the guru himself is no longer with us, and his successors are mostly Westerners with no knowledge of the possible source ‘Shastras’ which may contain the Kriyā practice. I remember my Father intuiting that there must be more to the practice, even as he mastered what he had been taught. Around the time of his death, he requested that I mine the source texts Yogananda spoke of – perhaps there are ‘Shastras’ out there, he surmised, forgotten but not entirely lost – if so, these may contain great gems which could be effective to revive. Before you might be lucky enough to find such texts, you have to master the Sanskrit language, learn its regional inflections, learn how to read manuscripts, etc. I began my Sanskrit studies 17 years ago at Harvard. It was there that I first became interested in Kashmir Shaivism - mainly in its non-dualistic philosophy. I went on to UC Berkeley, where eventually I studied for a time under Somadeva Vasudeva, a brilliant visiting professor from Oxford, the only scholar I knew who was specializing in the Yoga of Tantric Shaivism. He introduced the art of philology, and gave me a huge download of Sanskrit e-texts, which had been typed in from manuscripts by many scholars over several generations. So suddenly, I had a massive resource of texts searchable via the ‘GREP’ system, an invaluable tool to all scholars who want to conduct an in-depth research on any topic of literature transliterated from manuscripts. I've been like a kid in a candy store ever since, mining my ever-growing collection of more than 2,000 searchable e-texts, as well as thousands of manuscript scans that I acquired in Kashmir and other regions of India, thanks in part to the Yoga community in the US who funded such trips. With a collection like this, for years now, I read far more Sanskrit than English, sometimes for over 30 hours on any given week. Sutra Journal: Can you talk more about your current area of study especially the Vinyasa texts that you recently unearthed in Nepal? Where did you find these texts? What are the ramifications for students and teachers of yoga? Christopher Tompkins: My area of interest as an Indologist is philology, which is truly an art of discovery, one far more established among European Indologists than here in the U.S. I gradually became skilled at unearthing the often cryptic yoga teachings imbued within Tantric ritual, where I found the particular practices Yogananda had inherited. But it took years of persistent exploration into this vast corpus of texts before this occurred. What we’re talking about here is a corpus of ‘divinely revealed’ scriptures, known as Tantras, Āgamas, or Śāstras, the word used by Yogananda and particularly by Krishnamacharya when referring to the ‘divinely revealed’ scriptures of the Tantric tradition in its Shaiva, Buddhist (Vajrayana), and Vaishnava inflections. 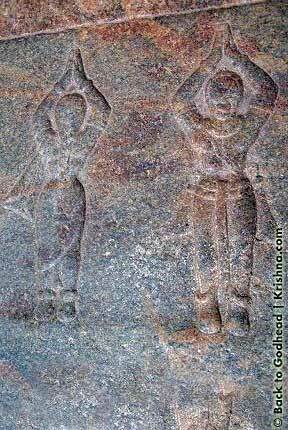 The latter two are wholly based on their Shaiva antecedents. 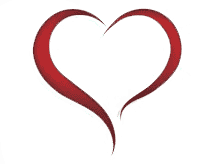 The tradition as a whole lasted from about the 5th to the 15 th centuries, around 1,000 years. What I have found in all Tantras is a singular innovative Yoga sādhana, although uniquely nuanced in many little ways from lineage to lineage, and from text to text, extant in all Tantric lineages. The operative word in the Tantras for this sādhana is usually ‘sequence’ (Vinyasa), wherein the ritual liturgy of ‘rites’ (kramas) are the yoga practices comprising it which must be performed in a specific order, often identified as a ‘Krama-Vinyasa’. It is a little known fact amongst scholars, one wholly missing for example from the museum catalog for the Smithsonian Yoga Exhibit which toured a couple of years ago – that this uniquely life-affirming ‘Vinyasa’ was prescribed as a daily householder ritual, one nearly off limits to renunciants (sannyasins). There has been very little scholarship on the Daily pan-Tantric Yoga ritual, which is not as surprising as it may seem, for it was not meant for the public, but for gurus and initiated adepts only (sadhakas). To piece together the Yoga Vinyasa of these texts is a bit daunting at first, for another difference between a Tantra and a Hatha Yoga manual is that the daily sādhana as a whole, is almost always spread out piecemeal in a Tantric scripture, with other subjects discussed in between. Moreover, most Tantras are far, far greater in length and complexity than any one of these post-Tantric reference texts inherited from Tantric siddhas such as Matsyendra and Vashistha. For example, I know of no one who has identified the fact that six Tantric Scriptures are found in the 27 textual sources which Krishnamacharya provided in the 1934 preface to his first book, the Yoga Makaranda. Nearly all of the other 24 are reference works, most of which have less than 200 verses each. Krishnamacharya’s six Tantras -- whose names, sadly enough, were slightly obscured to hide their identity as Tantras – together contain more than 55,000 verses. For the reasons described above, these are also the only texts in his list to contain the ‘Vinyasas’ for the practices given in the other 24. Now I use the ‘Vinyāsa’ and ‘Krama’ in the ubiquitous sense as applied in the Tantras, wherein these technical terms were never used merely in reference to a sequence of poses, in the way that ‘vinyasa’ is defined today. Rather it is correct to say that the dynamic linking of series of Āsanas became subsumed within the larger Vinyāsa of Tantric ritual, choreographed to the practices which defined the already established Yoga at the core of that ritual – comprised of mantra, pranayama, and visualization practices sequenced in a specific flow to actualize the liberated state. But if we ‘zoom-in’, so to speak, to a particular ‘krama’ within the daily Yogic ritual (nitya-pūjā), we find ‘vinyāsas within vinyāsas’, in a sense. A good example of this would be the pan-tantric ritual of pradakshina vidhi, part of the preliminary morning rites (adhivāsa, upacāra), beginning at sunrise, of the greater daily Vinyāsa prescribed to all Tantric initiates. This is the procedure (vidhi) of circumambulating (pradakshina), wherein the initiated adept performs a yātra, or bodily ‘pilgrimage’ several times around his/her own maṇḍala designated for ritual practice. The key moments in this circumambulation occur at each of the directional points on the compass. 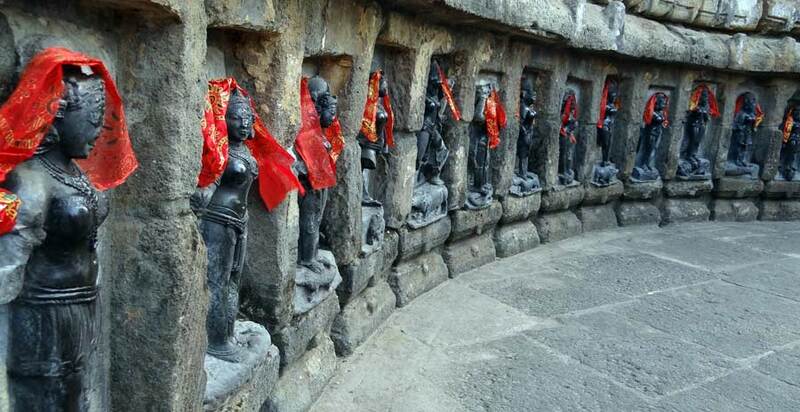 There he/she is to perform the Vinyāsa called Namaskāra (‘giving reverence’), usually a twelve part postural sequence which includes a very particular way of prostrating upon the earth – namely with eight sequential body parts known as the ‘ Astanga pranama’ or ‘Ashtanga Namaskara.’ The Vinyāsa here is not just of the bodily movements, but includes the mantras and breath work leading the physical movement through the twelve phases, and so on. This of course is what became known as ‘Sūrya Namaskāra’. The details given for this daily Namaskāra ritual varies from Tantra to Tantra; however, I know of no Tantra without it, and will show that some modern Yoga schools have retained at least the 12 part postural movement of the sequence very closely to how it was prescribed 1,000 years ago. On the other hand, the post-Tantric ‘Hatha Yoga’ manuals are essentially reference texts and as such, contain virtually no original material, as I will soon demonstrate. These in short are mostly comprised of categorical lists of practices, extracted from the Tantric rituals, from which nearly all of them originated. 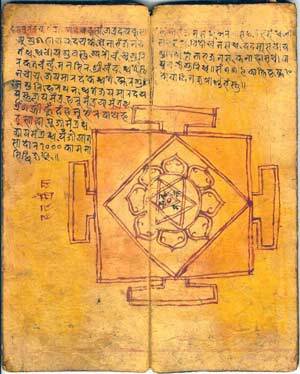 It always astonishes me how scholars imagine these manuals to be the original sources for virtually any practice, since nearly all claim their authority to derive from various Tantric lineages, and often stipulate many practices thought to be post-Tantric to actually come from the Tantras themselves. 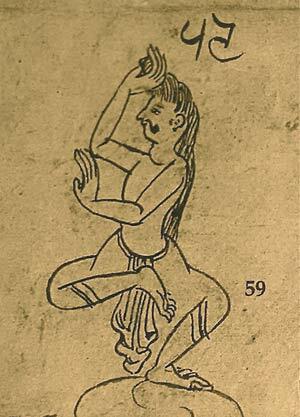 The major point here is that the ritualized ‘Vinyasa’, (aka Vidhi Krama), the crucial sequencing for the application of the yoga ‘rites’ - is altogether left out of these post-Tantric works (except for the occasional use of the word ‘vinyasa’ when explaining the order of how to manipulate the limbs into a given pose). In any event, I will soon show that these works are hardly more than reference texts, which try (and sometimes fail, due to the passage of time) to replicate the ‘hatha yoga’ practices original to and innovated in the Tantrics over time, and sequenced within their rituals. Sutra Journal: Certain scholars have propagated the meme that Krishnamacharya essentially fabricated the five series of Ashtanga yoga which was later popularized by Pattabhi Jois and others, and that Vinyasa has no historical basis. Would you care to elaborate on how your findings change that? Christopher Tompkins: Well, to date I don't know of a single publication on the history of yoga, including the recent BRILL Encyclopedia entry on Yoga, which has recognized and accurately depicted the fundamental and critical place of Yoga in the thousand year long tradition of Tantra, so revolutionary for its major contribution to the yoga tradition, including the ‘Hatha’ based innovation of non-seated Asana sequencing. Instead Western scholarship in particular has simply skipped over it, and has chosen to look at the reference manuals which are devoid of the Vinyasa within which these practices were originally applied, as mentioned. Nearly all so called ‘hatha yoga’ texts base their own authority as reference manuals, their fame on the basis of being linked to a tantric lineage, or the ‘Shastras’, ‘Divine Revelation’, either Vaishnava or Shaiva. Highly obtuse and plain compared to the sophisticated intricacy of the Yoga-based Tantric Rituals, they are nonetheless far shorter and more accessible than the Tantras (that is if you want a laundry list of categorized practices with little instruction on how to put them together). I have uncovered evidence that these six Tantras contained the specialized and now largely lost ‘Vinyasa-Krama’ that Krishnamacharya attempted to revive. Of his 27 texts, only these six contain a semblance of the vinyasa yoga that he taught. Today of course, the term ‘vinyasa’ has come down to us as the sequencing of poses alone. This is not how Krishnamacharya defined that term. When he speaks of ‘vinyasa-s’ as groups of poses, he means both mini-vinyasas within a bigger sequence of rites, which were originally led by Mantras. If you look carefully at his writings (particularly his Yoga Makaranda), he outlines an initial liturgy (Upāsana) comprised of the ritualized installing (Nyasa) of Mantras onto the hands and body. He defines “the sequence of Vinyasa” as the choreographing of Mantra, Asana, Pranayama and Mudra and tells us that this ritualized Yoga derives from ancient Shastras. In other words, he never meant ‘Vinyasa’ to describe just the sequence of poses alone. Krishnamacharya correlates this initial ritual practice to the practices of Asana choreographed to pranayama in sub-routines also called Vinyasa. Asanas, corresponding, he tells the student to make sure to follow the same vinyasa. 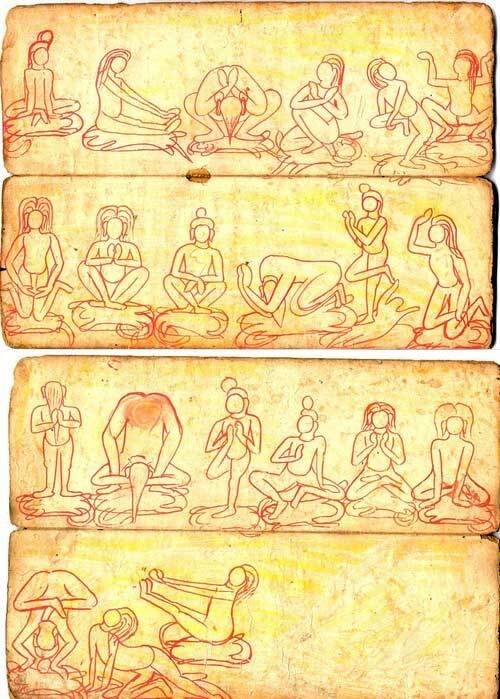 In short, after the innovation of sequenced Asanas became widespread by the 10th century, the same terminology was applied to the engagement of poses, which were always performed with their own seed Mantras ( bījas) as prescribed pranayama practice. To date I have found dozens of cryptically taught Asana Vinyasas in the Tantras, particularly in Vaishnava and Kaula Lineages. In my course, I will show textual evidence proving that Āsanas, originally defined as the ‘thrones’ upon which the Deities and siddhas in the Mandala, were to be envisioned as the adept performed pradakshina vidhi. This is the initial daily ‘rite of circulating’ the Axis center of one’s Mandala, performing what today is called Surya Namaskaras. For I have now found that this foundational practice of Tantric Yoga not only existed -- and I mean specifically the 12 part asthanga pranama (prostration) sequence, which both Mark Singleton and Norman Sjoman claim was as a 20th century invention of Krishnamacharya and company, accusing him of co-opting much of it from Western-based gymnastic traditions. Both dismiss Krishnamacharya’s list of source texts for these practices as unrelated to the practice he sought to revive, a claim that suggests that they’ve personally gone through the 55,000+ verses found in KM’s six Tantras before passing judgment. 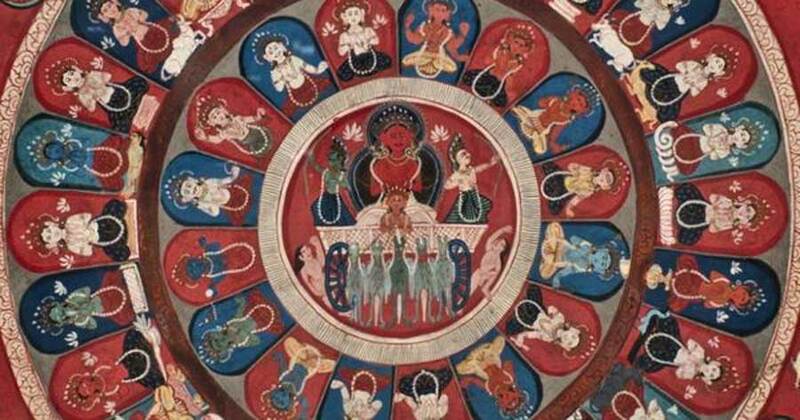 I will disprove the theory of modern origins for Surya Namaskara and many of the Asanas applied to it, drawing directly from a collection of hundreds of unpublished Tantric sources. Sutra Journal: What is the role of the colonial gaze of Western scholarship on yoga? Christopher Tompkins: Krishnamacharya specifically pleaded with the people of India, in his Yoga Makaranda not to let the West adulterate this precious, time-honored Yoga by blending it with gymnastics and wrestling, and expressed a hope that future generations would continue to mine the source texts. He gave us his sources, which have been demonstrably ignored by the same Western scholars who have convinced most of the Yoga world today that Krishnamacharya’s Vinyasa-Krama System of Yoga - one which I will show was largely extant in medieval sources as he truthfully claimed - was co-opted from Modern Gymnastics and Wrestling traditions. It is impossible to guess how many manuscripts of the Tantric tradition lay scattered throughout the sub-continent and beyond - certainly hundreds of thousands, or more, in Indian manuscript libraries alone. Far more of these treasures have been discovered rotting neglected in back houses, and many more have been absconded with from India to become relics in universities and private collections in the West, which I have seen with my own eyes. Krishnamacharya warned us that if we don't preserve and study the source texts of the Yoga tradition, for example, as he tried so diligently to do, without the computer resources of today, that the integrity of not just a tradition, but a culture may be lost. Christopher Tompkins, MTS, MA, PhD track, has 3 degrees in Religion and Sanskrit, including Master’s Degrees from Harvard and UC Berkeley. Christopher lectures nationally in Universities and Yoga centers on the history, philosophy, and practices of Indian Yoga. He is the co-originator of the Foundation for Yoga http://shaivayoga.com/Home.html.